We’d love your help. Let us know what’s wrong with this preview of Spectrums & Apertures by Andrea McKenzie Raine. Spectrums & Apertures is a poetry collection that explores the perceptions and conflicts of birth, life, love, place, religion, and death. The poems are fragments of life, in the way we experience ourselves in our various roles and relationships, and how we are impacted by the ripples we create and eventually come full circle. To ask other readers questions about Spectrums & Apertures, please sign up. It's a shame that kindle protects this old man from reading this book of poetry in a shared space. We read them at school, then marvel at song lyrics and slowly loose the sense of tone, of rhyme and reason. Especially men as poems tend towards love sonnets and valentine verse. 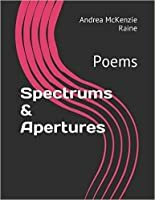 Spectrums & Apertures is a celebration of life; written by an author whose prose has already enthralled me, so her spun words hold no fear and challenge my masculinity and years since my youth. A journey I am prepared It's a shame that kindle protects this old man from reading this book of poetry in a shared space. We read them at school, then marvel at song lyrics and slowly loose the sense of tone, of rhyme and reason. Especially men as poems tend towards love sonnets and valentine verse. Spectrums & Apertures is a celebration of life; written by an author whose prose has already enthralled me, so her spun words hold no fear and challenge my masculinity and years since my youth. A journey I am prepared to take as the writer is someone within whose company I delight. It is often the choice of a reviewer to pick out their favourite poems and hold these up to those who would follow you through these pages. To do so would be to misunderstand the quality of these words which turn and caught the light with each re-reading of them. So that what I like so much just now may fade and be bettered by 10 no 20 other poems previously not fully grasped. In all her writing I like best the crisp phrase, a catchy couplet or that control of words that catches truth with little perceived effort. As here: "The landscape tilted like liquid in a bowl ...."; "Closed doors don't keep out the hurt thoughts of yesterday but hold in the good." and "His face in the window looks back at him, but there is no dialogue." Still I will point you to certain poems for want of a perfect review. Fingernail, First Coat and The Visitor. To name but three. "She waits for him, while the milk sours in the fridge, and everything else is past its due." 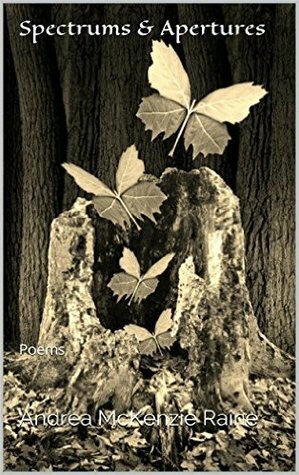 Great collection of poems that will leave the reader with interesting and beautiful pictures in their mind. About life, from birth to death. and poems that tell stories about the world around us, the author has done a great job creating a collection that is great to read over and over. I was torn between a four and five star review and think that readers should grab this and decide for themselves, definitely a book to grab. This is a wonderful collection of poems dealing with birth, life, love, relationships, death and nature. The author writes in such a vivid, imaginative way that the reader can easily relate to them. There are several here involving birth, and life with a young child. The poem, 4 a.m, describes perfectly the magical yet exhausting experience of being awake late at night with a new born baby. Your beacon cry draws me from dream This is a wonderful collection of poems dealing with birth, life, love, relationships, death and nature. The author writes in such a vivid, imaginative way that the reader can easily relate to them. Unfolded laundry, dishes piled high in the sink. The author's strength lies in portraying the small details of life which are often overlooked. We create a new colour; blend our weekdays into weekends and settle in. This bold colour will dress these walls for good. These poems often explore the depth of security and comfort which comes from the familiarity of marriage. One of my favourite in this collection is Marriage Acrostic in which the opening letters of each line spell out the word marriage. Sips her tea and writes morning couplets. Who never comes too soon. This conjures up such a picture for me that as I read the poem I can sense the desolation and emptiness felt by the woman in the poem. The author experiments with various styles. Two of the poems here are written in the style of two other poets; Plumbing, in the style of John Ashbery, and A Tribute to In Praise of Mushrooms after Cynthia Woodman Kerkham. The author should be commended for this; I don't think it's easy for any author to adopt the voice of another. This is a haunting, evocative collection dealing with everyday life and events which the reader can relate to. Many of the phrases will stay with you and make you think. Too many people are in a constant rush through life and these poems will make you pause and consider the wonder and magic which lies all around us. I think the message here is to take time to see the beauty and nature surrounding us and which we so often take for granted because we're too caught up in the stress and rush of everyday life. The poems have a simple eloquence. These verses have no need of ornamentation or long-winded vague passages. Their message is clear; open your eyes and look around you and be amazed. A beautifully written and thought provoking collection. Wonderful book of poetry. Andrea portrays perfectly the emotions, trials and joys of living. I loved the reality in the poems and connected with many. My two favorite poems were November in Translation and The Lake. Thought-provoking poetry that tugged at my emotions and uncovered memories with the turn of every page. This is not your grandmother's nursery rhymes--in a good way.